WELCOME TO THE 1440 ARCADE BUSINESS CENTER. Located on the corner of Wheelock Pkwy and Arcade (Hwy 61) on the south/west corner of Lake Phalen. The property is located on one of the busiest intersections in the area with over 12,000 cars/day! 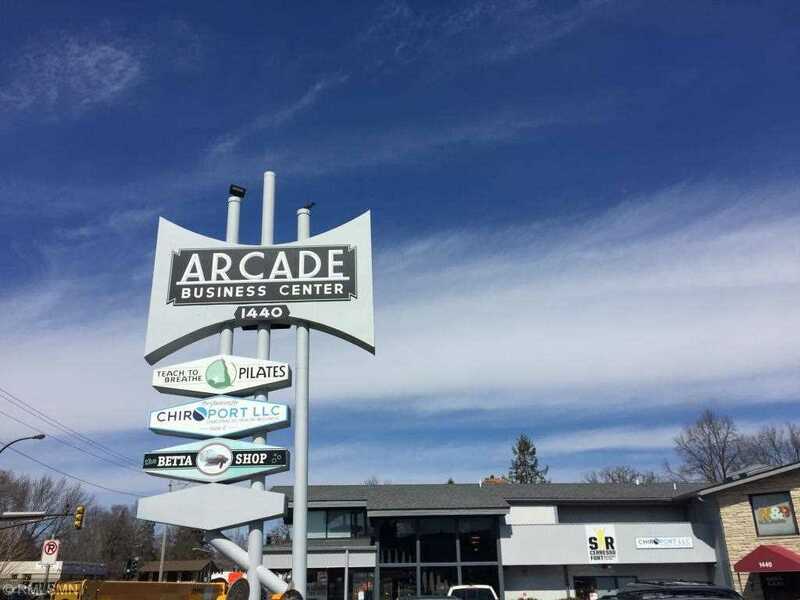 The Arcade Business Center is home to a variety of 10 local businesses. Directions: From Hwy 36 take Hwy 61 south - turns into Arcade. I was searching for a Property and found this listing (MLS #5142371). I would like to schedule a showing for 1440 Arcade Street Saint Paul, MN 55106. Thank you! I was searching for a Property and found this listing (MLS #5142371). Please send me more information regarding 1440 Arcade Street Saint Paul, MN 55106. Thank you! MLS # 5142371: This property at 1440 Arcade Street, Saint Paul, MN 55106 is located in the Payne-Phalen subdivision and is listed for $1,000,000. MLS # 5142371 has been on the market for 88 days.